Britain’s IBF #5-rated heavyweight contender Hughie Fury is putting the final touches on a “torturous” training camp and, with his team, will arrive in Sofia, Bulgaria, this Saturday. On Saturday, October 27, Fury (21-1, 11 KOs) will face Kubrat “The Cobra” Pulev (25-1, 13 KOs) in a 12-round elimination bout at the Arena Armeec in Pulev’s hometown of Sofia. The winner that night will become the first in line to face champion Anthony Joshua. The event, entitled “Fire & Fury” will be presented by Ivaylo Gotzev and John Wirt’s Epic Sports and Entertainment, together with Fury’s promoter, Hennessey Sports, and will be broadcast live in the UK on Channel 5. Fury and father/trainer Peter Fury have been pushing it to the limit in their Manchester Gym, training twice a day, six days a week for up to three hours per session. But Fury, the current BBBofC British Heavyweight Champion, says all the work will soon be worth it. Despite his supreme confidence, defeating Pulev will be no easy feat for 24-year-old Fury. 37-year-old Pulev is one of the most popular athletes in all of Bulgaria, and a former two-time European and IBF International Heavyweight Champion. Pulev’s only career loss came in a challenge for the undisputed heavyweight championship against Wladimir Klitschko in 2014. Britain’s Dillian Whyte and Americans Jarell Miller and Dominic Breazeale all declined to face Pulev before Fury accepted. Trainer Peter Fury is relishing the prospect of unleashing his son Hughie on Kubrat Pulev when the pair collide in an IBF world heavyweight title final eliminator on October 27. 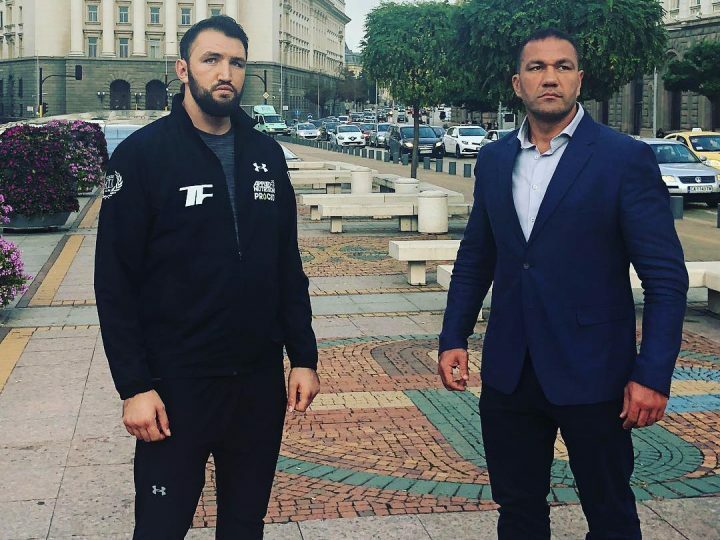 Hughie is bidding to earn a shot at IBF world champion Anthony Joshua by silencing Pulev’s fans in Sofia, Bulgaria and Peter Fury has reflected on a lengthy and fully-committed training camp. Peter Fury said: “Pulev is technically very sound and you could argue that he’s the best technical boxer Hughie will have faced to this point but Hughie’s in fabulous shape. “Hughie’s had a 13-week training camp and he’s ready for anything that Pulev brings. When you’ve had a 13-week camp, you’ve come to the end of the road. This is what camps are like. “He had a slight graze across his eye about four weeks ago but that’s healed perfectly and is fine. He’s looking great. “He did some sparring today and that’ll probably be the last spar now. It’s time for him to start resting up. He’s got a good 10 days to recover before fight night and get all that energy back.